When the holiday season comes around, we all secretly wish to have a perfect date like a Hallmark Christmas movie. We all share the image of grabbing hot chocolate with the one you love while walking down the street of shops decorated with holiday decor, the snow gently falling. The holiday season is a special time where you can turn up the romance and love with your significant other. The best part of this colder season is that you don’t need to leave the warmth of the indoors to have a date. Some of the best winter dates are time spent cuddling while watching Christmas movies, or building gingerbread houses together while singing Christmas songs. Winter dates can also be inexpensive, such as buying cookie dough and Christmas cookie cutters and eating the cookies you two have baked over a Christmas movie. These dates are more about spending quality time together since the cold weather will keep you close. The holiday season is such a romantic season. Going ice skating is another timeless winter date that is always fun and playful. Even if you aren’t an excellent ice skater, the joy of almost falling and having your significant other catch you makes this a date filled with smiles and laughter. Look and see if an area near you has Christmas light displays that you can either drive or walk through. Seeing the lights will have you and your significant other feeling like kids again while bringing a magical touch of romance into the air. You could also drive to the Christkindlmarket in Chicago for shopping, German food and drinks, or find a local holiday market near you. The best winter dates are always the simple dates, such as getting bundled up to build a snowman or go sledding. Since you won’t always want to go outside in the cold, make sure to take advantage of indoor activities as well. Do a fun workout video together, have a couples spa night, try out fun tasty recipes, have a game night, go see a movie in theaters, or have a holiday photo shoot. 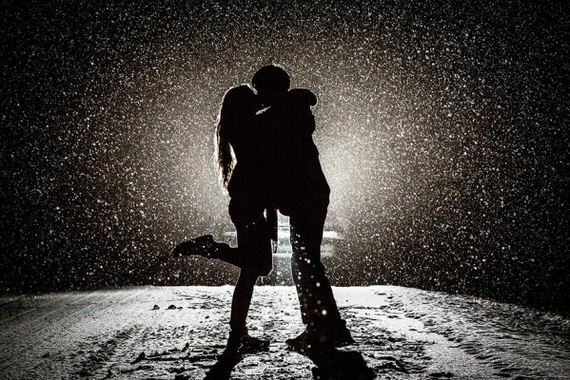 Regardless of what you choose to do, winter time allows for the best dates for you and your significant other. Take advantage of the snow and Christmas decorations outside and indulge in the romance that the holiday season brings!